CAPE CANAVERAL, Fla. – NASA astronauts will take an unplanned spacewalk Tuesday (May 23) to replace a failed data relay box outside of the International Space Station, restoring critical redundancy to the orbiting outpost, agency officials said Sunday (May 21). The failed device, known as a multiplexer/demultiplexer, or MDM, was installed on March 30 during a spacewalk by NASA astronauts Peggy Whitson, now the station's commander, and then-flight engineer Shane Kimbrough, who returned to Earth last month. Whitson will perform Tuesday's spacewalk repair with fellow NASA astronaut Jack Fischer who arrived at the orbiting laboratory in April. The MDM, one of two located on the outside of the station's S0 segment of the station's backbone-like main truss, controls exterior U.S. systems, including solar arrays, cooling loops, radiators and other equipment. The upgraded MDM failed on Saturday (May 20), NASA officials said in a statement, adding that the crew was never in any danger. "The cause of the MDM failure is not known," the statement said. After the failure, the station switched over to the spare MDM, but NASA wants to restore redundancy as quickly as possible. Station program managers met on Sunday to assess troubleshooting efforts and decided to replace the failed unit with a spare. Whitson and Fischer conducted the station's last spacewalk on May 12. The station’s current crew also includes two Russian cosmonauts and French astronaut Thomas Pesquet of the European Space Agency. The MDM failure and replacement is not expected to impact next week's launch of a SpaceX Dragon cargo ship to the station, NASA spokesman Dan Huot said. Launch of a Falcon 9 rocket with the Dragon freighter currently is targeted for June 1. Tuesday's spacewalk is scheduled to begin at 8 a.m. EDT (1200 GMT). NASA's live webcast coverage will begin at 6:30 a.m. EDT (1030 GMT). You can watch the webcast live here, courtesy of NASA TV. 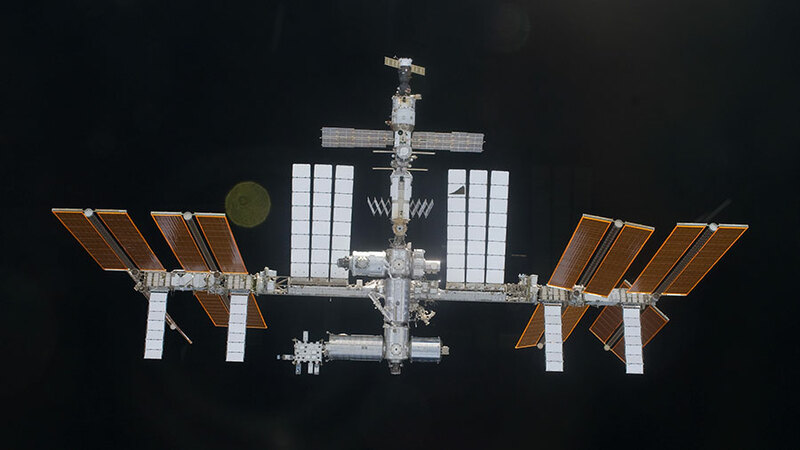 The International Space Station with its prominent solar arrays and radiators attached to the truss structure was pictured May 2010 from space shuttle Atlantis. Astronauts Peggy Whitson and Jack Fischer are getting ready for a contingency spacewalk Tuesday morning. Whitson and Fischer are set to begin the spacewalk at 8 a.m. Tuesday for about two hours of maintenance work. NASA Television coverage will begin at 6:30 a.m. The spacewalkers are gathering their tools and checking their spacesuits today with assistance from Flight Engineer Thomas Pesquet. The trio are also reviewing the contingency spacewalk procedures. The spacewalk’s primary task is the removal and replacement of a data relay box, known as a Multiplexer-Demultiplexer (MDM), which failed Saturday morning. The MDM controls the functionality of station components such as the solar arrays, radiators, cooling loops and other systems. Whitson will replace the failed MDM with a spare unit on the Starboard Zero truss. The truss is attached to the space-facing side of the U.S. Destiny lab module and is the centerpiece of the station’s truss structure which houses the solar arrays, radiators and cooling loops. Fischer will install a pair of wireless communications antennas on the Destiny Lab, a task that was postponed during the May 12 spacewalk. Tuesday’s spacewalk will be the 201st in support of station assembly and maintenance. This will be Commander Whitson’s 10th spacewalk likely moving her to third place all-time in cumulative spacewalking time. Flight Engineer Fischer will be embarking on his 2nd spacewalk. 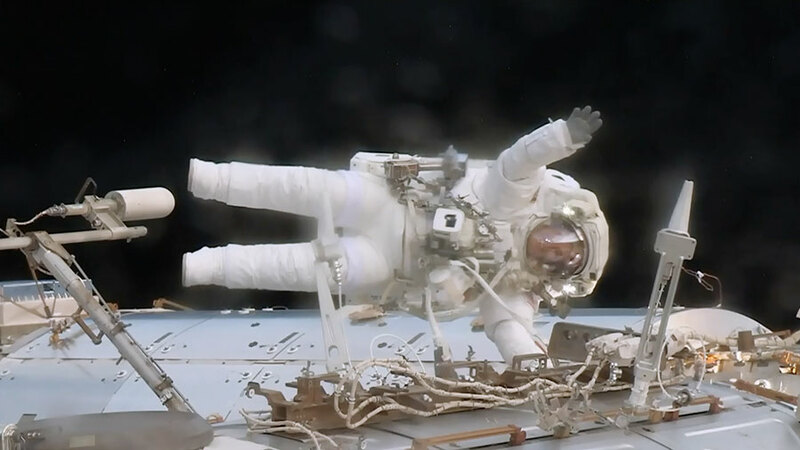 Astronaut Jack Fischer waves while attached to the Destiny laboratory during a spacewalk to replace a failed data relay box and install a pair wireless antennas. Expedition 51 Commander Peggy Whitson and Flight Engineer Jack Fischer of NASA concluded their spacewalk at 10:06 p.m. EDT. During the spacewalk, which lasted two hours and 46 minutes, the two astronauts successfully replaced a computer relay box, and installed a pair of antennas on station to enhance wireless communication for future spacewalks. Spacewalkers have now spent a total of 1,250 hours and 41 minutes working outside the station during 201 spacewalks in support of assembly and maintenance of the orbiting laboratory. This was the 10th spacewalk for Whitson, who moves into third place all-time for cumulative spacewalking time, and the second for Fischer.